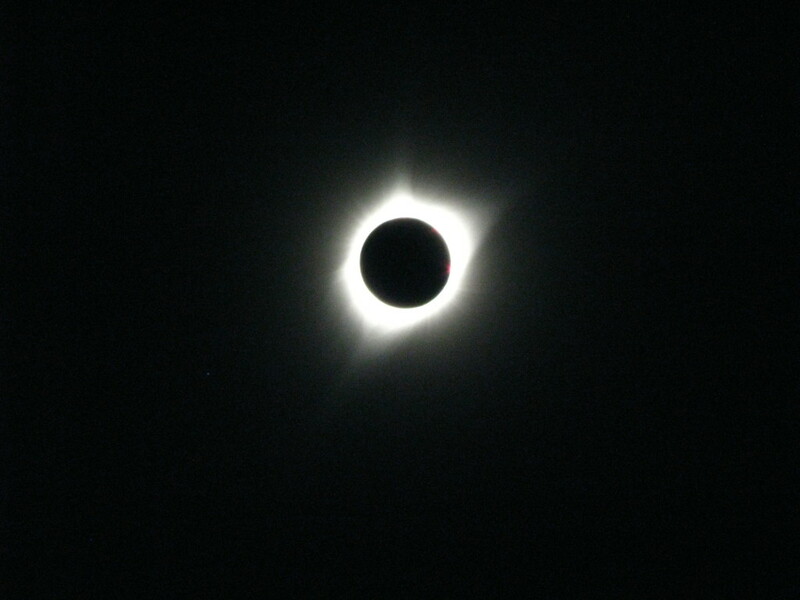 Totality is the moment when the moon passes between the earth and the sun. 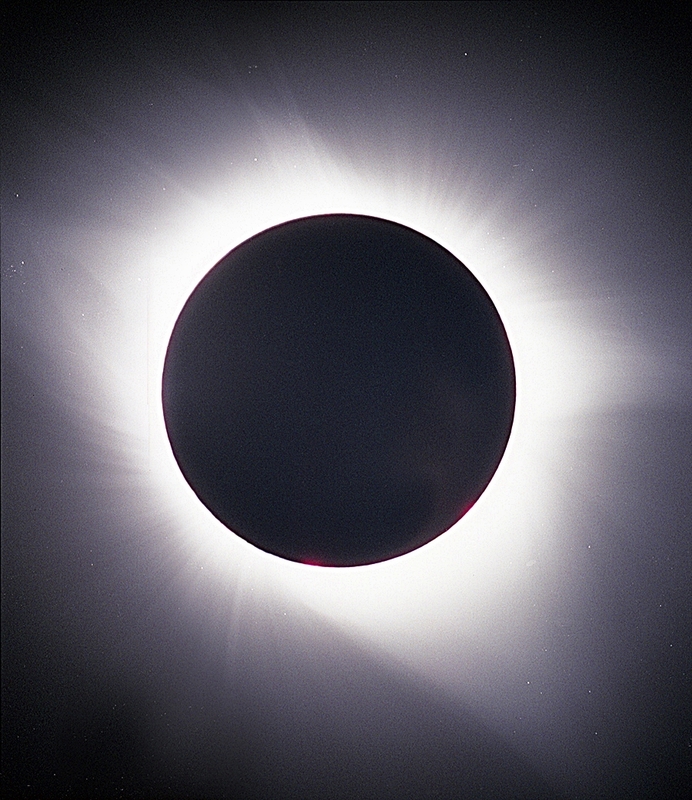 During certain eclipses when the moon is on a closer orbital path to the earth and is exactly lined up, the moon will relatively cover the entire view of the sun. When this happens, the bright rays of the sun are shielded allowing us a rare view of the corona (the outer glow) and solar flares that extend beyond the surface of the sun. Also, without the bright sun, the sky turns dark and we see planets and bright stars that we would only normally see at night. We drove 11 hours from Rochester, WA to Burns, OR through the smoke of several massive forest fires with no air conditioning, where we would spend the next few days with hundreds of sky watchers from all over the western US. (There were over a million people purportedly in the region) Burns is outside of the totality zone, but it is within an hour and a half drive of John Day that is very close to the center line. 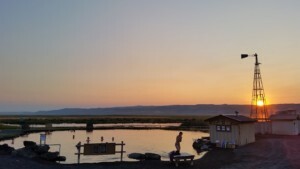 On top of that, there is a spectacular hot springs resort there that we have stayed at before called Crystal Crane Hot Springs. 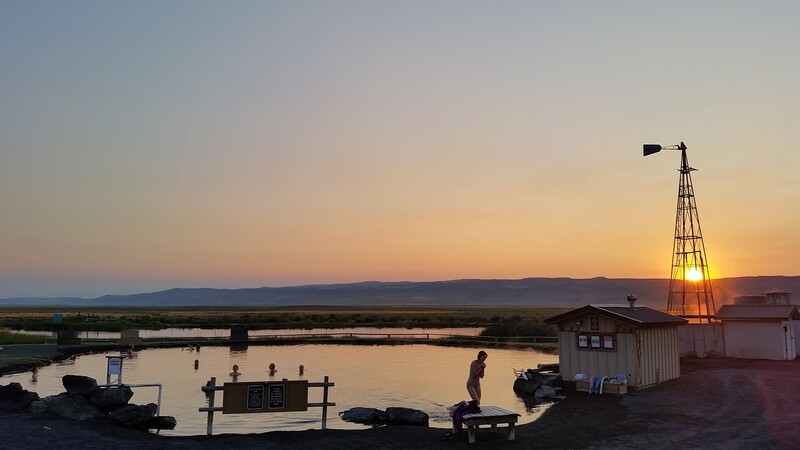 On the morning of August 21st, we left our cabin at 5am hoping to avoid the crush of cars, trucks RVs and buses trying to get north into the totality zone. 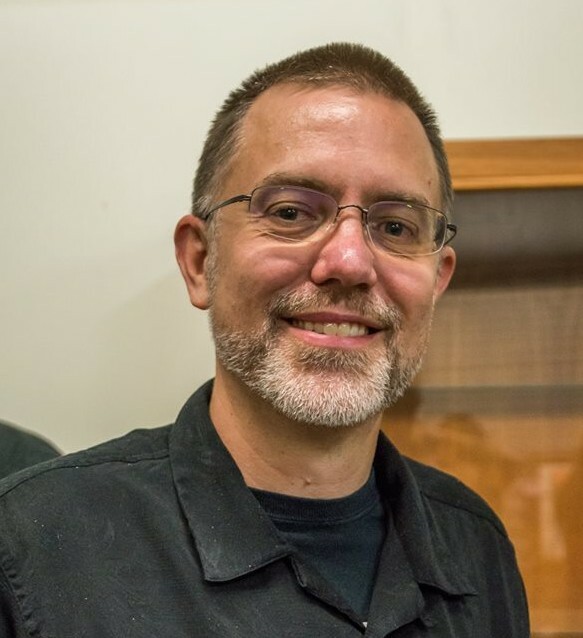 We were reserved to stop in Seneca which is just inside of the zone if traffic was so slow that we were out of time, but the traffic flowed smoothly all the way to John Day. We were very fortunate to see a county road that seemed untravelled and then to see a road to a local cemetery. It was here, at the Boot Hill Cemetery, the site or a gold rush era burial for criminals where we parked and set up our gear. (eclipse glasses, welding masks, camera on tripod, chairs, snacks) It turns out that the local paper had reported that the main cemetery would be closed, so the pull off to the historic graves and the road leading to it had only a hand full of cars. 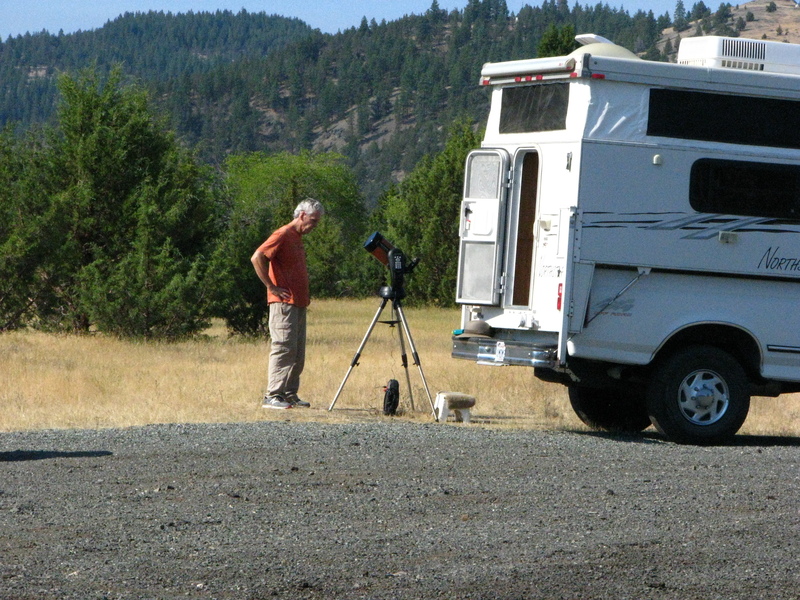 Our neighbor, Ed Hoopes, a dedicated man in his 70s, had driven by him self from San Diego, CA to witness his 3rd total eclipse. Ed’s telescope was fitted with a home made solar filter and he had attached a 35mm film camera to get the the incredible shot below. What I find amazing about this photo is the stars that are visible right around the sun, visible even through the corona. These were not visible with the naked eye. Although Venus was clearly visible higher in the sky, one planet that is very rarely seen by those of us on earth without special equipment is Mercury, due to it’s close proximity to the sun. If you notice on the top image, Mercury is visible at about 8 o’clock as a faint speck. This was the final shot I took when I figured out that I needed to adjust the light settings to deepen the black of the sky. 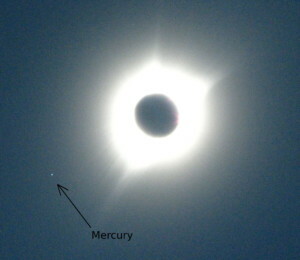 Here is another shot that had more exposure that has a better view of Mercury. After viewing the totality we hung around for a while to eat lunch and hopefully allow the roads to clear. It was amusing that after the build up to the totality, everyone was in a rush to leave even though there was still an hour of partial eclipse to enjoy. 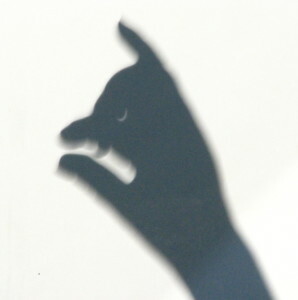 As the sun came back from it’s shadow, we experimented with pin hole viewing through the leaves of trees and through our fingers making shadow puppets with crescent eyes and teeth. The trip back to burns took about twice as long in a very hot car with the almost entirely Californian traffic. If you take some time to look through the internet, there are some amazing photos of the Great American Eclipse, some of them real and some not so real. Here is a link to one that I think is particularly nice because the glow from the earth has been exposed on the surface of the moon. This link includes a number of other stunning photos. 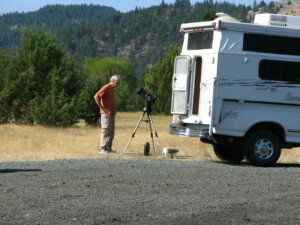 Finally, This amazing hi-definition video of the eclipse taken in Oregon by a professor is well worth watching. It is fascinating to see the solar flares in such clarity that only appear as reddish bursts at 1 and 3 o’clock in the above images. I hope you had a chance to experience the Great American Eclipse. Be sure to put April 8th, 2024 on your calendar for the next total eclipse that will shade our continent from Mexico to Maine. Please leave comments in the section below with your eclipse stories. 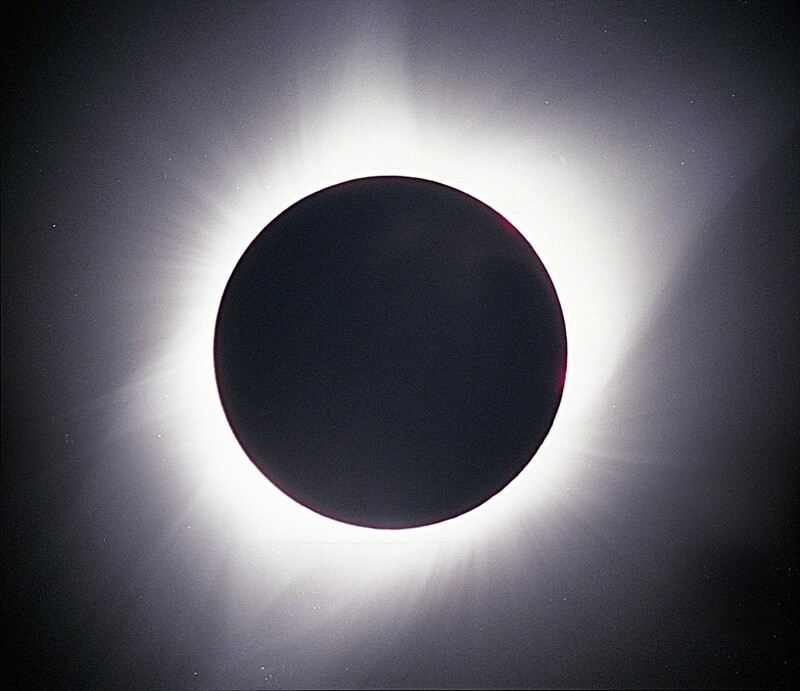 Totality is the moment when the moon passes between the earth and the sun. During certain eclipses when the moon is on a closer orbital path to the earth and is exactly lined up, the moon will relatively cover the entire view of the sun.